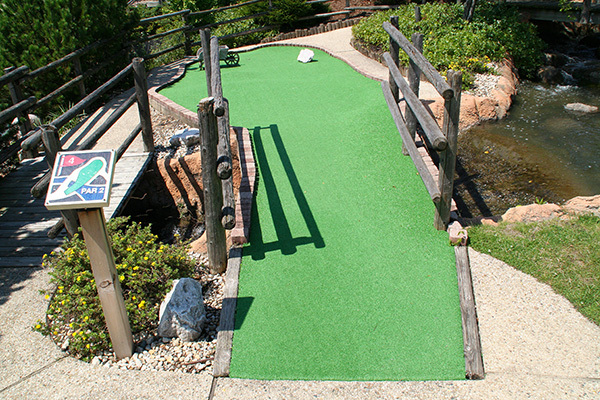 Mountain View Mine is a popular 18-hole adventure mini-golf course, designed around an old mining town theme. 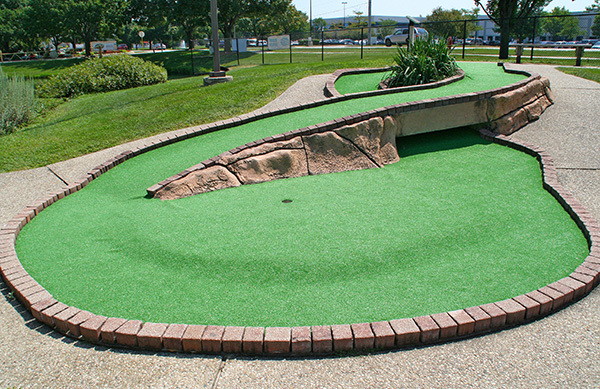 It features creeks, bridges, rock formations, beautiful waterfalls, lots of interesting artifacts, signs, and old-time stuff. 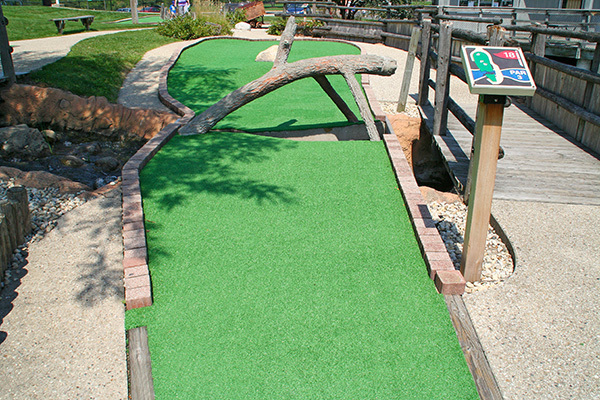 Obstacles on the course are moved throughout the season, so a game on the Mountain View Mine course is always fun and challenging. 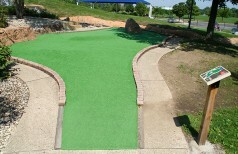 The concession stand is well-stocked with your favorite snacks, lunches, soft drinks & ice cream treats. 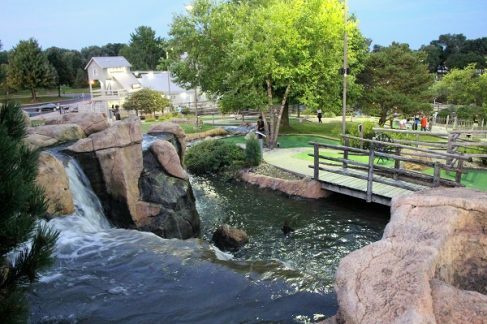 Birthday Parties, Corporate Outings, and Fundraising Events are even more fun when you have them at Mountain View Adventure Center! 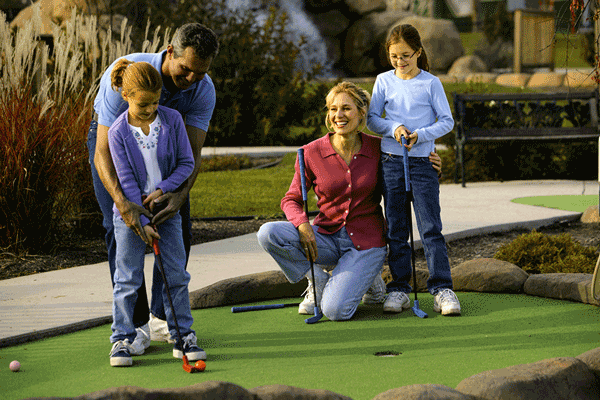 Mini-Golf is fun for all ages! 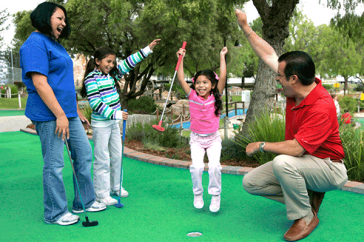 Group outings and parties are more fun at Mountain View! 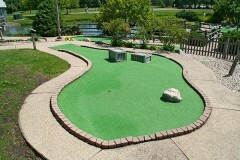 Call 847-391-5733, or 847-391-5711 for details. 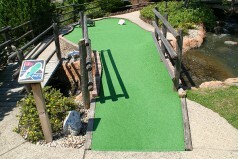 *2nd round is available only on the same day. Residents must have proper photo ID to receive resident rates. 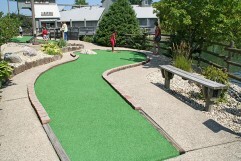 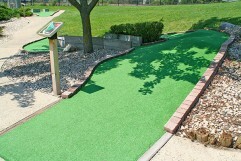 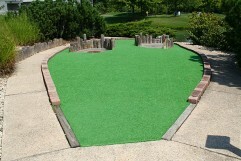 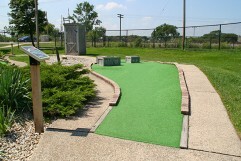 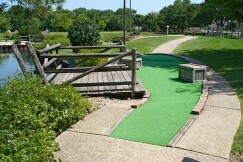 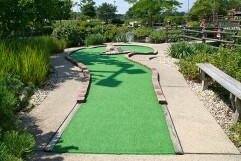 Shirts & shoes are required on the Mini-Golf Course and in the Batting Cages. Hours are always weather dependent. Early closings are at the discretion of the Facility Manager. 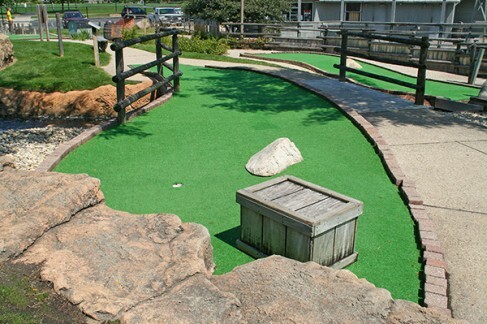 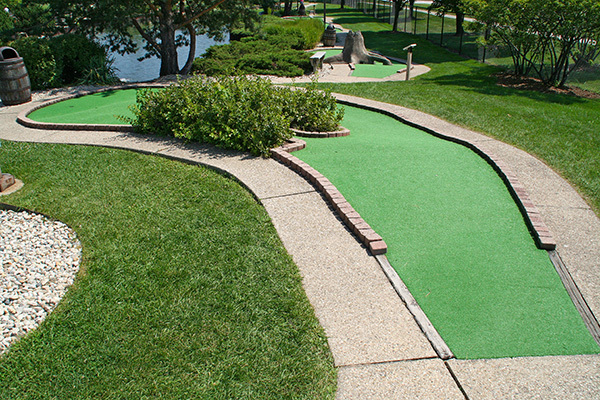 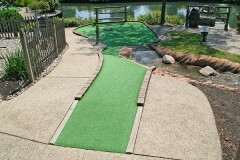 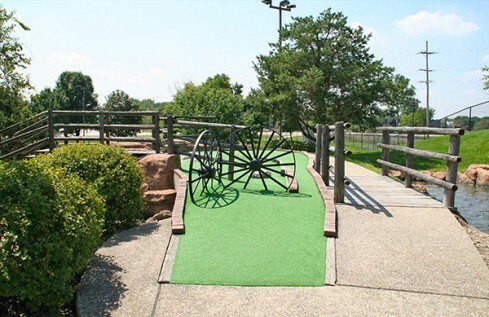 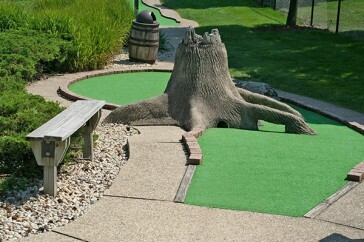 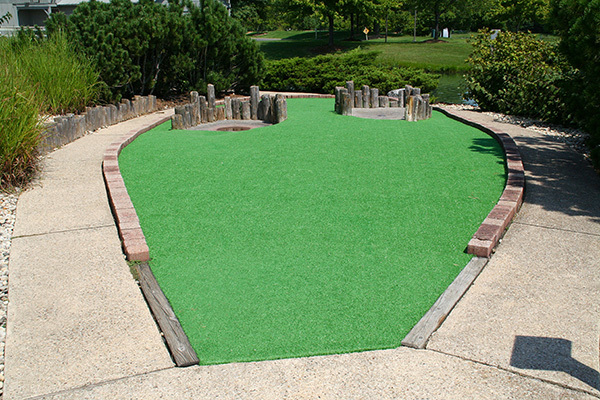 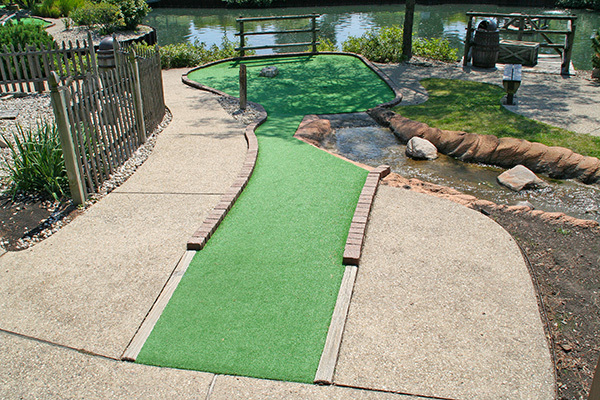 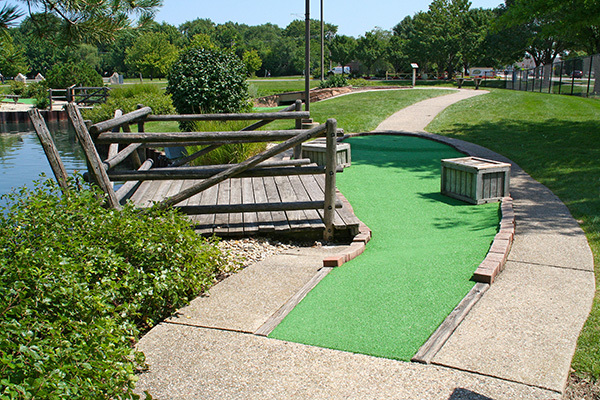 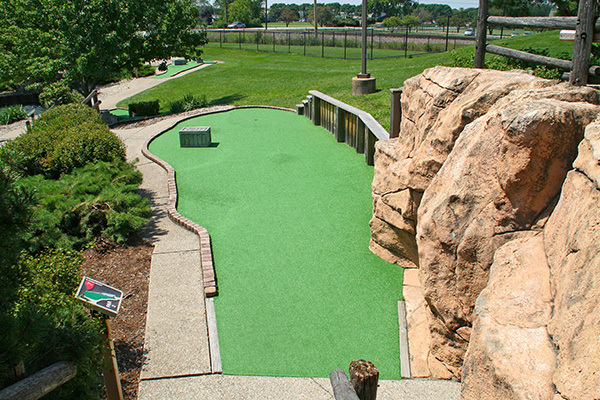 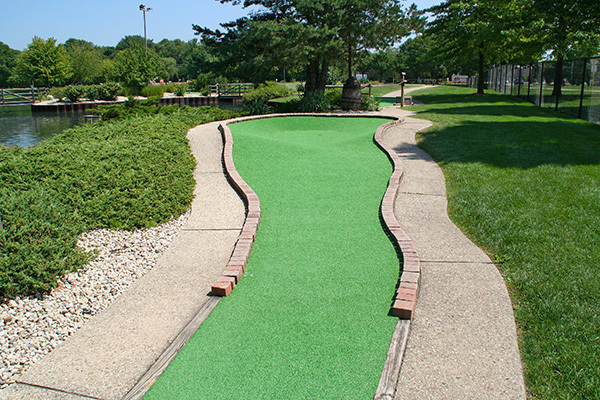 Save on mini-golf fun all summer with the 10-Round Discount Pass! 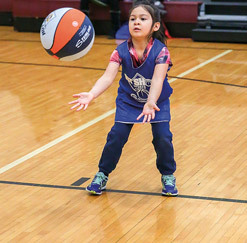 Purchase yours at Prairie Lakes or the Leisure Center. Get a free round of golf when you complete all your punches. Friendly ghosts & ghouls haunt those who dare to play on their mini-golf course. 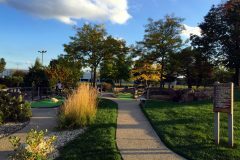 Batting Cages close for the season on October 14. 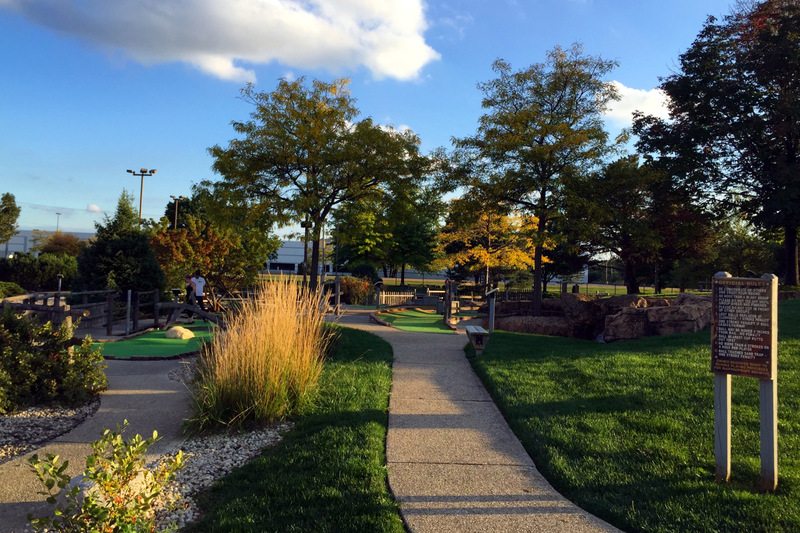 They are open for one more swinging night during Haunted Hole-O-Ween on Friday, October 19.